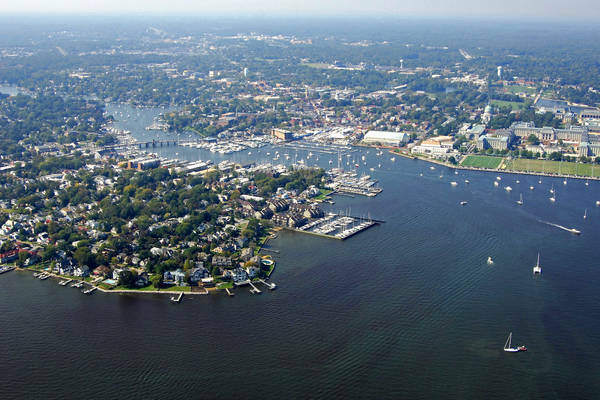 Widely considered to be the Sailing Capital of America, the historic city of Annapolis is the Maryland state capital and home to the U.S. Naval Academy. 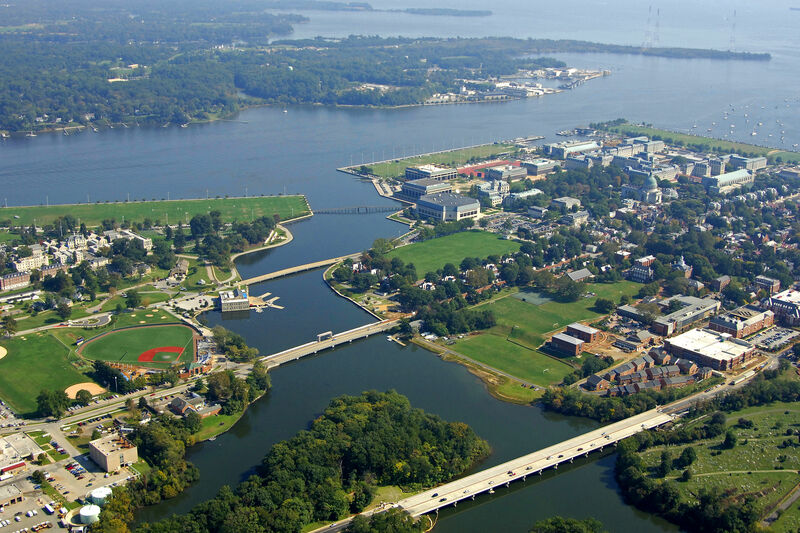 Located on the Severn River 27 miles from both Washington D.C. and Baltimore, it has a population of 38 thousand. 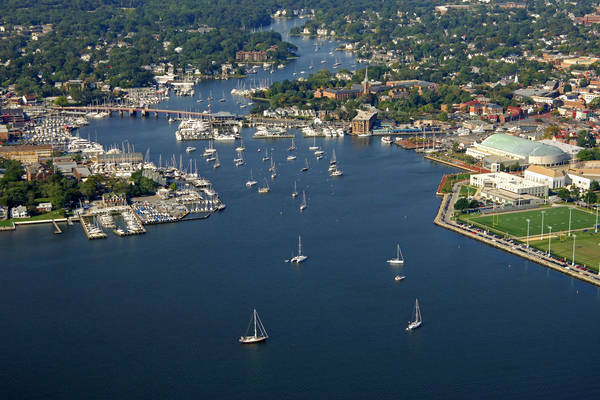 There is plenty to see Annapolis given its rich history and strong culture. Visitors are offered great options for dining, shopping, and entertainment. 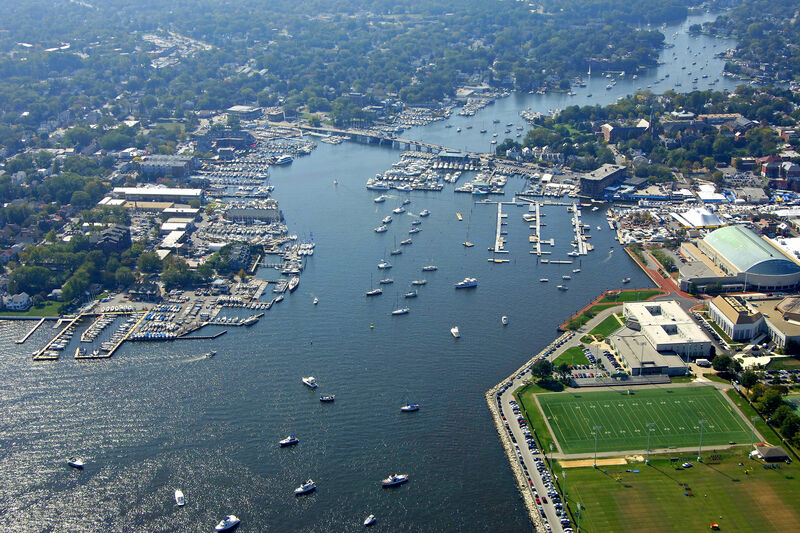 Annapolis Harbor is a must visit destination for sailors and boaters alike. 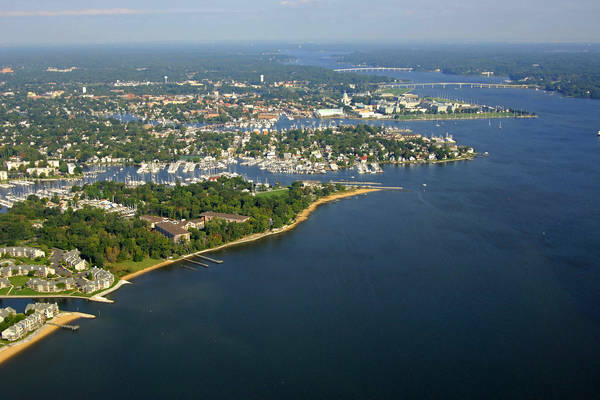 Greenbury Point was the first settled area in what is now Annapolis. The Puritans called it Providence when they arrived in 1649. The area grew and developed near the Severn River. By 1694, the settlement had designated by Governor Sir Francis Nicholson as a new capital city for the Province of Maryland. The first seat was in St. Marys City. 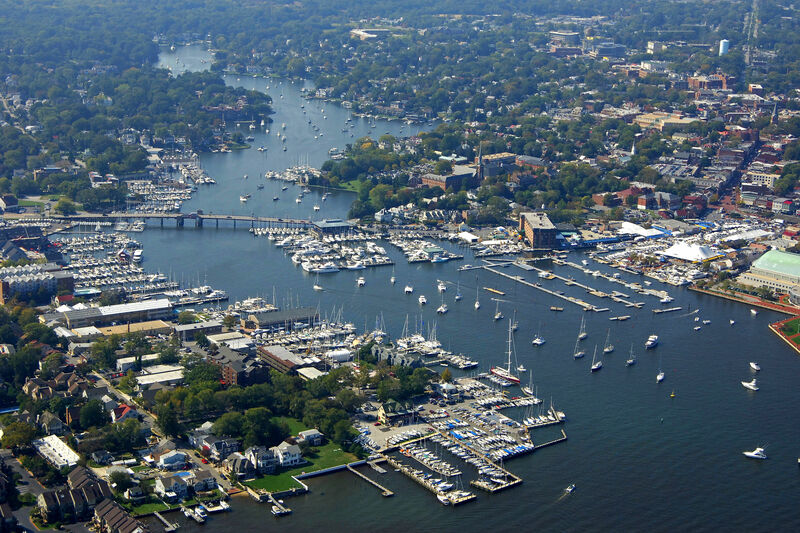 The new city, Annapolis, was named for the future Queen of England, Anne. Its translation is "Annes City." This settlement area is now all located in a National Historic Landmark area. Incorporated on November 22, 1708, by Governor John Seymour on behalf of Queen Anne. This charter was the only one issued under the Royal seal in Maryland. 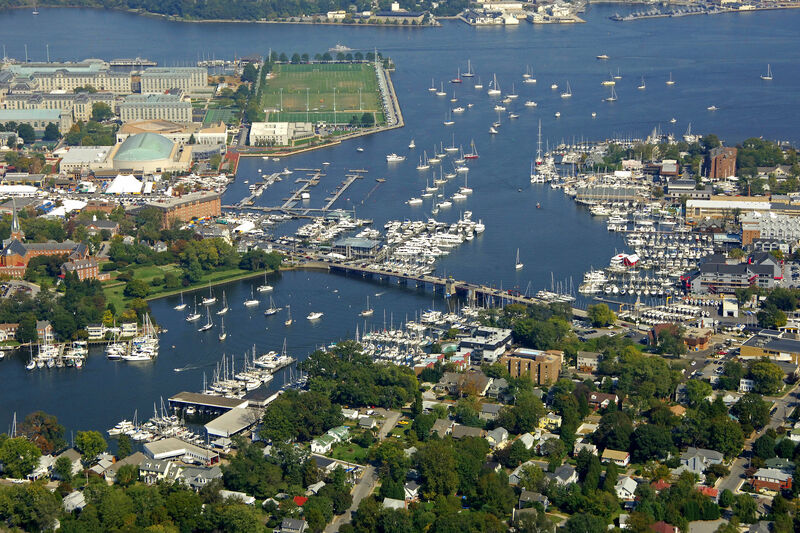 Annapolis is the oldest incorporated city in Maryland. 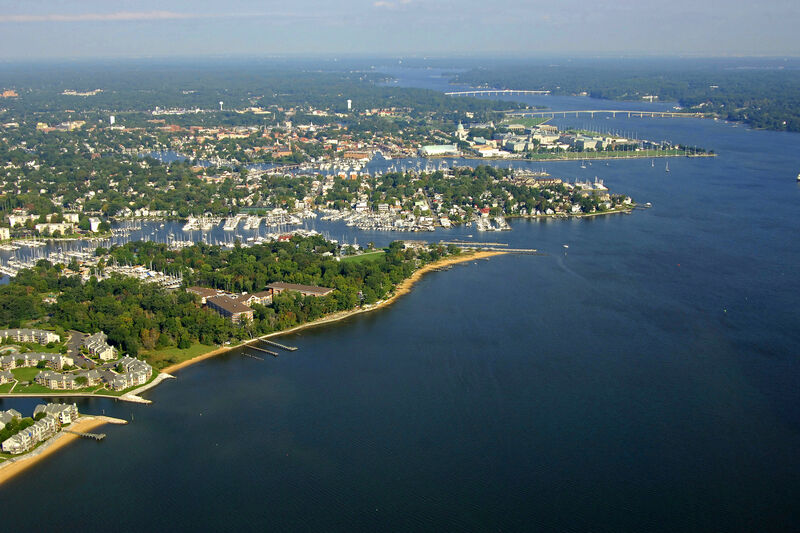 Annapolis is the place of many "firsts" in Maryland, among them, are nations first State House, first parochial libraries, and the first printing of the Maryland Gazette. Many famous and important events took place here in Annapolis. The Treaty of Paris was signed here. This treaty officially ended the Revolutionary War. 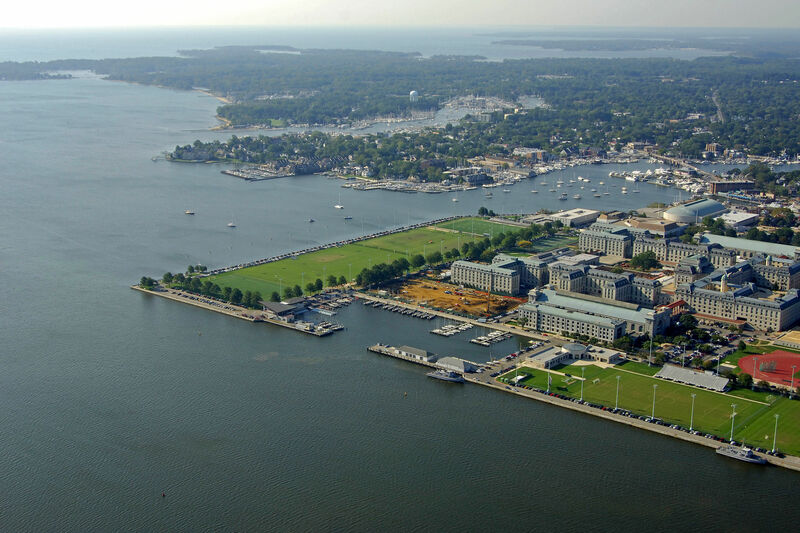 United States Naval Academy was founded here. Overlooking the city, the State House is the oldest state Capitol still in continuous legislative use. It is topped by the largest wooden dome in the United States. Annapolis became Maryland's capital in 1695. St. John's College. Founded in 1796, stands as the third oldest college in the United States. Use NOAA Charts 12283 and 12282. 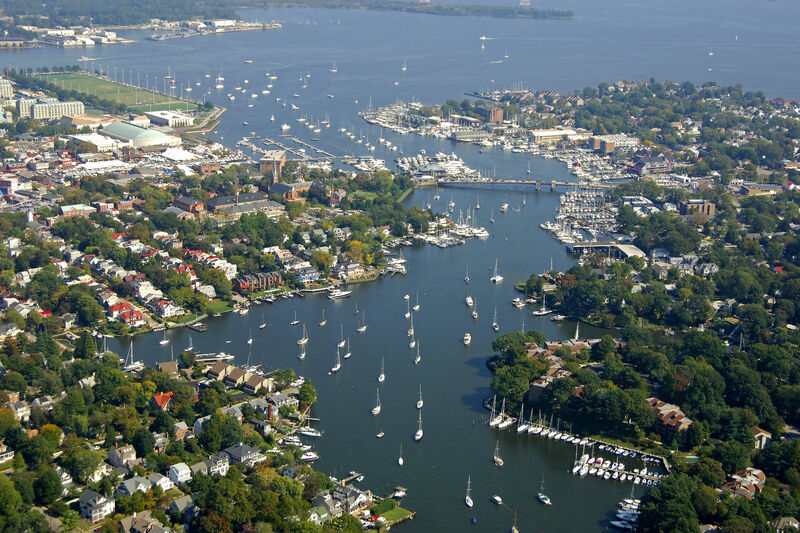 Annapolis is located up the Severn River from the Chesapeake Bay. 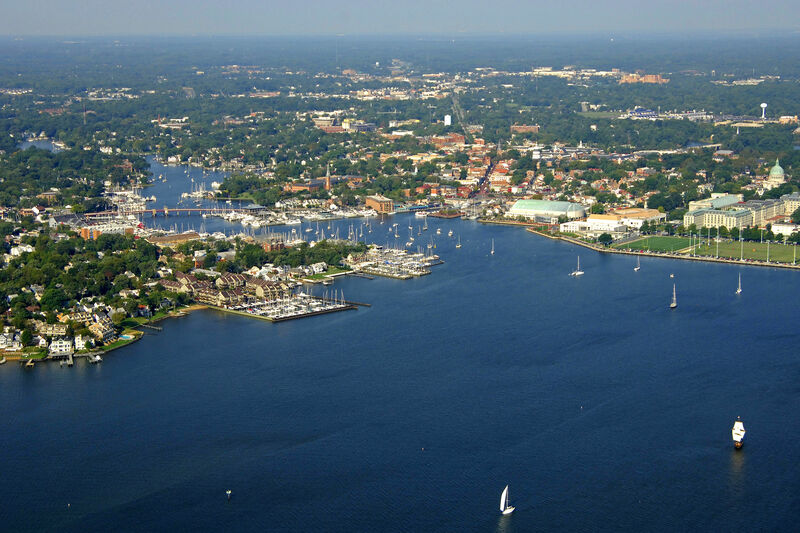 The city technically lies on both Spa and Back creeks, and both are home to an expansive marine industry. Flashing red 4 marks the approach to Annapolis from the Severn River. Once you have cleared this mark, follow the series of lit and unlit buoys into Spa or Back creeks. Spa Creek is home to downtown Annapolis, while Back Creek has a number of large marinas, most of which accept transients. 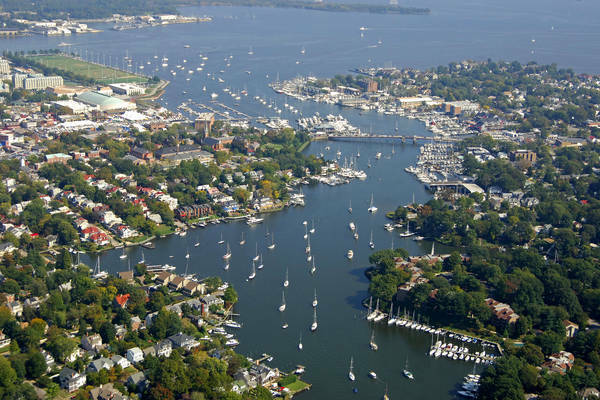 Downtown Annapolis is accessible from the north side of Back Creek, as all street ends in Annapolis are also dinghy landings. City administered moorings spot both creeks, but limited anchoring room is available if you look for it. A popular, if not bumpy anchorage is right off the Naval Academy near Triton Point. Pay heed to all in-the-water buoyage and regulations less you get a visit form the DNR Police or the city. Annapolis Harbors rich history and culture make it a great place for tourists and visitors. The city is full of fun and historical places to visit and things to do! No reviews yet! Be the first to write a review of Annapolis.